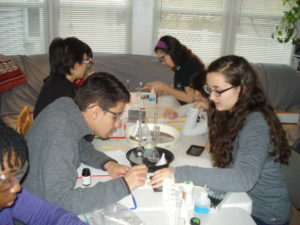 The 2015-2016 school year was a busy one for the homeschoolers of Union ChemClub in Union, New Jersey. 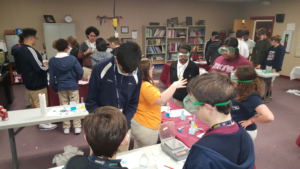 Our monthly ChemClub meetings brought opportunities to learn chemistry while having fun. 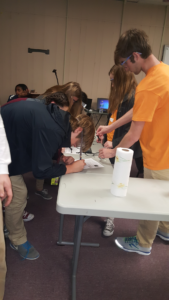 Some of the experiments we covered were chromatography, iodine clock reactions, double replacement reactions, making “elephant toothpaste” and a “sweet” sugar density column. 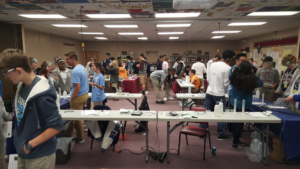 One of our local universities allowed us to borrow a Milton Roy 20D Spectrophotometer for oneof our labs.